I watched two short documentaries this week about visuals that exist in the shadowy world between art and mathematics. The first film is from the PBS's "Nova" series, Fractals, Hunting the Hidden Dimension. The second is Vanessa Gould's 2009 documentary Between the Folds, a fascinating look at the history and evolution of the world of paper folding. Fractals, Hunting the Hidden Dimension tells the fascinating story of how mathematician Benoit Mandelbrot came to discover the mathematics of fractals. Always considered outside the mainstream of mathematics, Mandelbrot was one of a group of "oddballs" hired by IBM in 1958 to develop the then fledgling computer field. Mandelbrot was fascinated by a problem presented to him about noise created by transmitting computer data over jammed phone lines, often resulting in data not getting through. When he looked at the pattern of the noise and zoomed in on a small area, he was surprised to find how similar the small area was to the whole. Mandelbrot thought classical mathematics was great for describing forms with smooth edges and curves, primarily man-made forms, but found it lacking when it came to describing rough-edged forms as found in the natural world. Once he started pointing out fractals in nature, he was usually confronted with the response "of course!" Many of us associate fractals with the eye-candy of psychedelic posters and videos, but fractals are all around us in the natural world in the form of leaves, trees, lightning, blood vessels, mountains, clouds and even galaxies. Mandelbrot was eventually able to write a formula, "the Mandelbrot set" for the repeating "self-similarity" of the patterns within patterns within patterns that he discovered. Mandelbrot's discovery of fractals was eventually put to practical use in the first-ever computer generated special effects sequence in a feature film (Star Trek II: The Wrath of Khan), as well as the small fractal antennae that are used in cell phones and other electronic devices. After watching Gould's film about origami, Between the Folds, I went into high procrastination mode and instead of sitting down and writing this blog as I had intended, I found myself folding a large sheet of paper into a hyperbolic paraboloid. (I did this mainly for the bragging rights -- it's not as difficult as it sounds.) What I learned from this little exercise was how easily one could be seduced by the endless possibilities of something as simple as folding a sheet of paper. Gould's film chronicles the work of 10 artists and scientists who took the plunge, abandoning careers and hard-earned graduate degrees to devote themselves to origami. Akira Yoshizawa (1911-2005) is considered the father of modern origami. 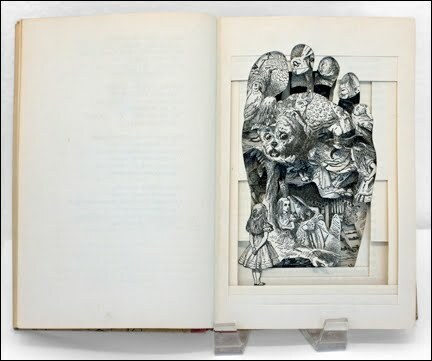 Self-taught, he abandoned a factory job to devote himself to the study of paper folding. He supported himself working odd jobs and by selling soup door-to-door. He was the first origamist to keep his paper moist while folding, allowing him to make softer, more organic looking figures. He made some 50,000 models in his life time, none of which he ever sold. The film looks at other modern day practitioners whose styles range from realistic to abstract, kinetic to work by le Crimp, a group of French origamists who make their forms from randomly crumpled paper, and a teacher in Israel who uses origami to teach geometry to children. Perhaps most interesting is the amazingly gifted father/son team of Marty and Erik Demaine. Erik Demaine was home-schooled by his father Marty, a single parent, sculptor, glass-blower, self-taught computer scientist and avid puzzle maker. Erik entered college at the age of 12 and got his PhD at the age of 20. He was the youngest professor ever hired at MIT and two years later was a recipient of the MacArthur genius grant. Together, the Demaines have pushed the boundaries of what origami can be -- from saving lives by designing folds for air bags to looking for cures for diseases by folding proteins. Fascinating! Thanks for a concise and interesting synopsis of Mandelbrot's discovery. I'm also thinking about the Fibonacci sequence, which expresses the mathematical relationship known as "The Golden Mean". It's found in nature in such things as the expanding coil of the Nautilus shell and the center of a sunflower. It was used in art by the ancient Greeks to create the rectangles found in the negative spaces of the Parthenon columns, etc. 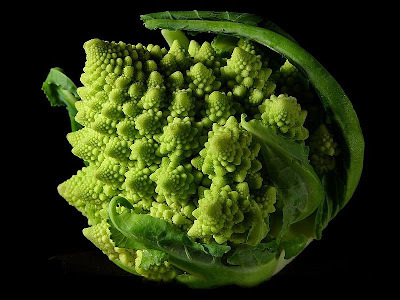 I love this topic (fractals). Thanks for posting. Jane wanted to thank you for recognizing the importace of math and science for some forms of art. I have had the pleasure to watch both these movies you mentioned and have studied many of these and other equations to put into my art of kinetic sculpture. Great fun!! thanks again.